On Sunday, I talked about my new commitment to meal planning. 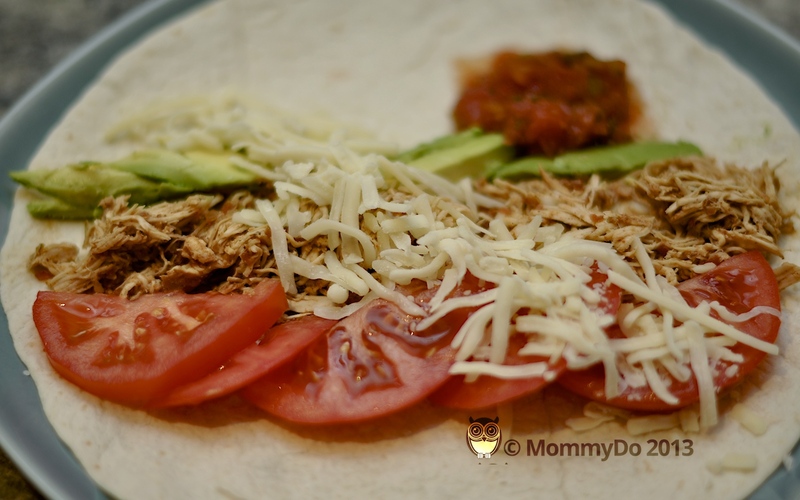 I mentioned this weeks plan had me making Slow Cooker Pulled Chicken Tacos from this recipe from Dinner With Julie. Let me tell you, it is both easy and delicious. The meat is so tender and so tasty. Husband couldn’t believe it was a 5-ingredient dish! Took me maybe 10 minutes to get it ready – and that includes pulling the recipe up online and digging out the slow cooker. We made soft-shelled tacos with avocado, cheese (lactose-free for me), salsa and fresh tomato. It’s only as I type this that I remember that we had fresh lettuce too and I forgot all about it. It could have used a little cilantro but was still super yummy. Here is the recipe in case you’re too lazy to click the link. I think this one will be making it’s way into regular rotation. 5-6 garlic cloves, crushed or chopped *I pressed. I’m lazy like that. 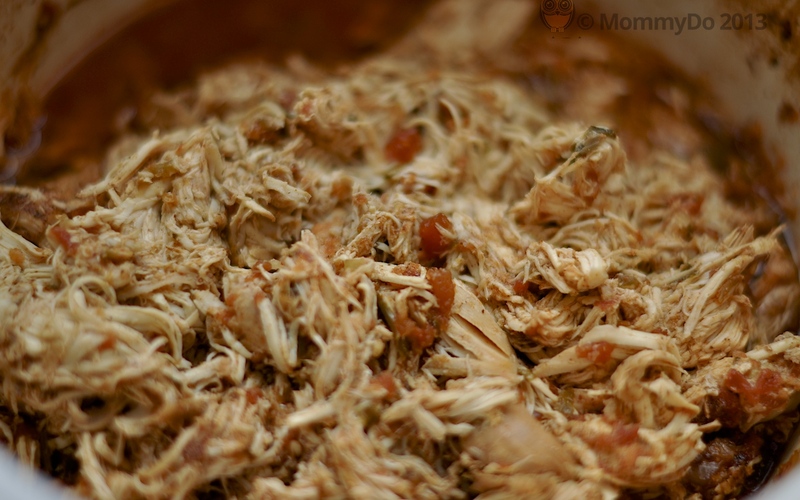 Put the chicken, garlic, salsa, chili powder and salt in the bowl of a slow cooker and toss with tongs to combine everything; set it on low for 6-8 hours. Pull the chicken apart with two forks and serve with flour tortillas or taco shells and your choice of additions. Serves 6.
cooked from scratchrecipeslow cookerWhy Is It Never Takeout Day? Your photography is really great! #justsayin’ – I love this recipe! Looks good, Melanie. I am going to make it tomorrow and add the extra yellow peppers I have in the fridge to the chicken. It made this last night for the people we are with in Florida and everyone loved it, today IQ put it on slider buns with cheese, avocado and lime and served it S leftovers with rave revues. Did the boy eat it? Or was it too spicy? The boy doesn’t eat anything. He would not eat a saucy meat of any kind. I don’t think it was too spicy for kids. I did try and convince him to taste but no luck.